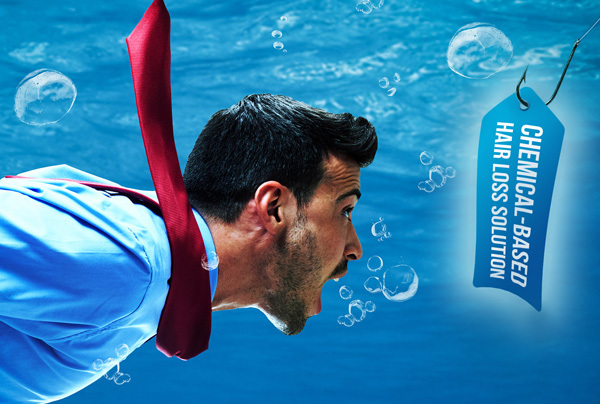 Is your hair loss problem driving you to desperation? When you’re losing lots of hair and you are already seeing bald patches on your scalp, nobody is immune to it. It’s but natural to feel the desperation of going bald. So what do you? Would you tell a friend or go to a doctor? Or will you hide the “shame” under the guise of a wig? It’s quite hard to decide what to do and most people would still find themselves falling in line for over-the-counter (O.T.C.) remedies. And what’s on their hands? Chemical-based hair loss products. Chemical based hair loss products can be so tempting. The ads look tempting enough but you should be wary that once you delve into the details of these hair loss products, you’ll see why they may not exactly be good for you. You may feel serious side effects like tightness in the chest, difficulty in breathing, rapid heartbeat (tachycardia), and swelling of the hands and feet. These are actually some of the possible side effects of the hair loss drug called Minoxidil, which is advertised to stop hair loss and promote hair growth. Many chemical products say they can “treat” alopecia, but reading the fine print will let you discover that it actually just slows hair loss. Little is said as well about these chemical treatments actually promoting hair growth. There are safer and more effective hair loss treatments out there, such as NOVUHAIR. It stands out among the rest because it has 19 natural ingredients—standardized herbal extracts, essential oils and co-factor nutrients that work in synergy and have been clinically proven to help stop the progression of hair loss, aid in stimulating hair growth, and reduce excessive hair shedding. 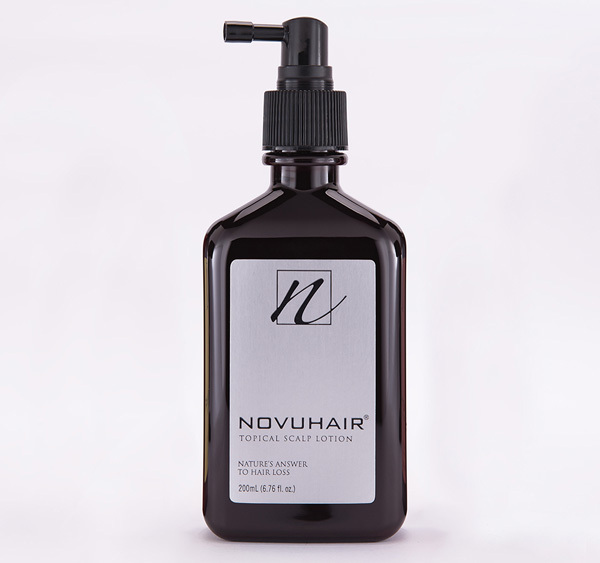 Novuhair Topical Hair Solution is the natural answer to hair loss. We don’t know about you but we are more comfortable with using natural products on our family. Wifey makes it a point to buy mostly natural products for our toiletries at home. NOVUHAIR is available in the Philippines at Mercury Drug and other leading drugstores nationwide, Seafood City supermarkets and other Filipino/Asian stores in the USA and online at www.novuhair.us and at BeeOrganic in Kuwait. International online orders are also possible through regaloservice.com. For more information, you may visit www.novuhair.com or contact hotlines 4136570 and 09228830575. Don’t make yourself fall as the next victim of the hair loss treatment trap. Be smart and always choose natural.